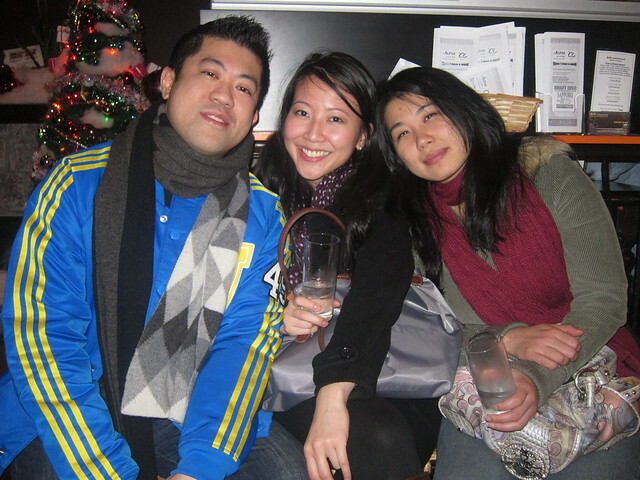 Late night Japanese food dinner at Alpha Global Sushi & Bar in Yaletown with Vanessa Chu, Dennis Pang, May C., and Beki Liang on December 10, 2010. After a night at Caprice for the Holiday Meetup of Meetups with other Vancouver Twitter folk, the five of us were starving for some good food. 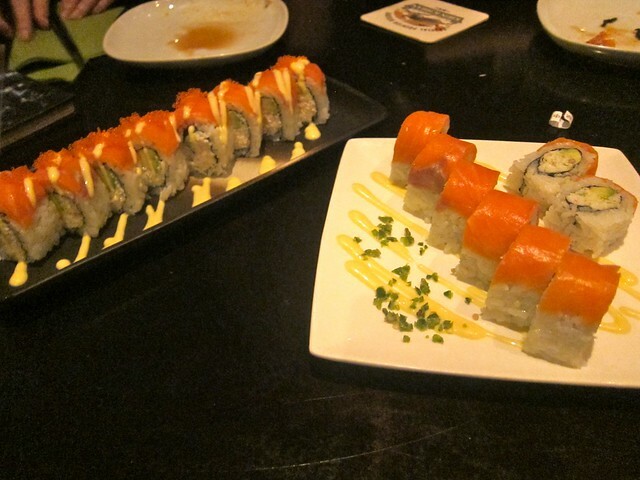 Eventually, we settled on Alpha for its great sushi and Japanese eats. Unfortunately, the small Yaletown eatery was packed late on a Friday night. The staff were friendly and told us it would be a half hour wait. We strolled around Yaletown for a bit before returning. 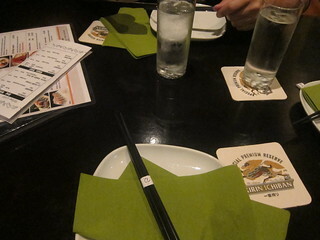 Out waiter took our order early so we could eat as soon as we were seated. I enjoy little friendly touches like that. The place looks normal enough, but it has a odd feeling to it. Our menu was inside an old textbook about the human body. There were graffiti painting adorning the walls. The tuna garlic pepper sashimi was a great starter. 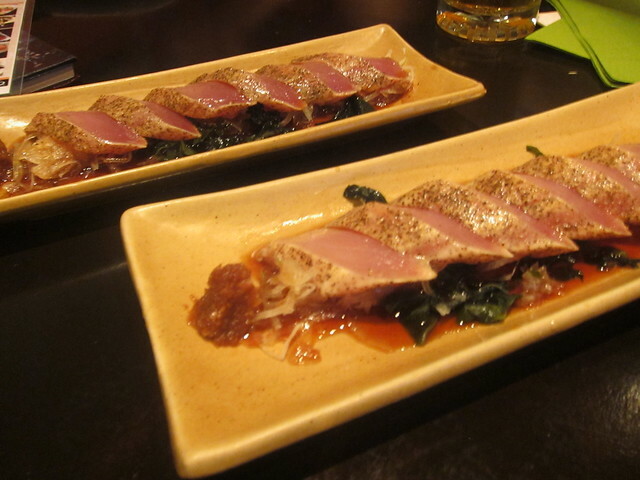 I am not the biggest tuna fan, but its garlic taste and sauce was really scrumptious. 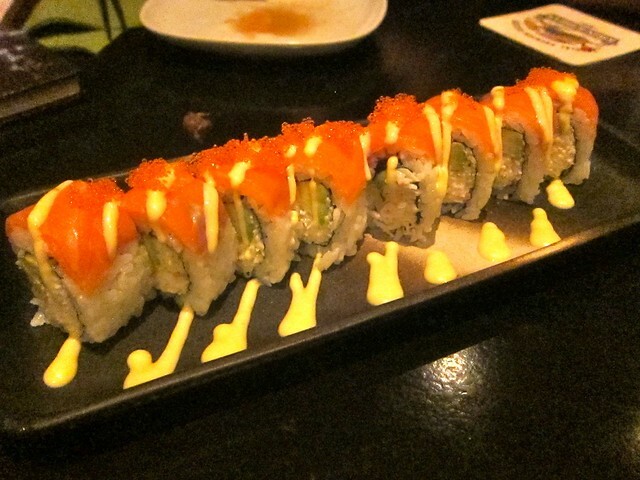 The Vancouver mango rolls (California rolls with smoked salmon and mango) were tasty and hit the spot. I gave extra points for presentation. 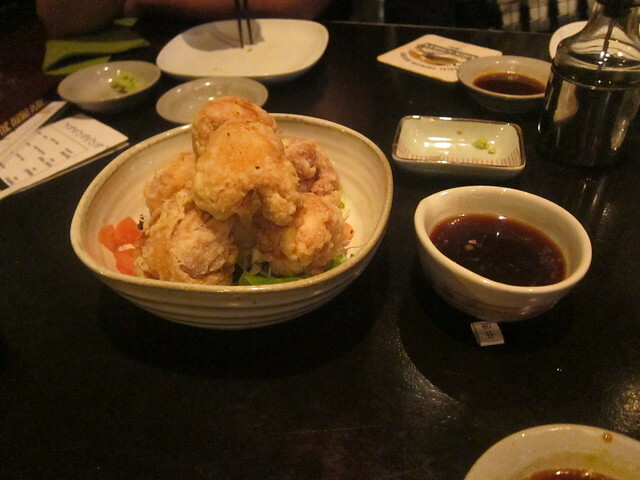 One of my favourite dishes was the Chicken karaage. It was very filling with its large, balled up form. The meat was piping hot inside. The Mentaiko Udon was another winner of the night. 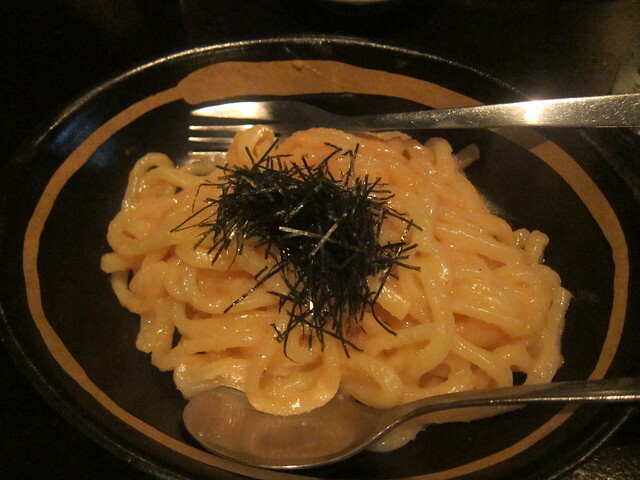 The seafood and fish roe texture was smooth and creamy. The taste of it was quite scrumptious and delightful. 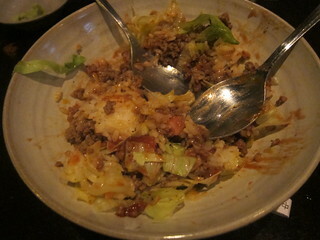 Part of the appeal of Alpha was May's incessant recommendation of the taco rice salad. She went on and on about it, building up its anticipation. Well, she was right. 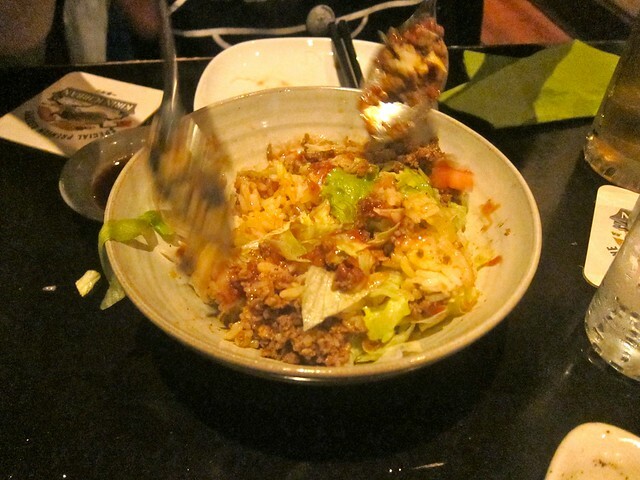 The taco rice salad was delicious. I have no idea why it is served at a sushi bar, but I could not care less. 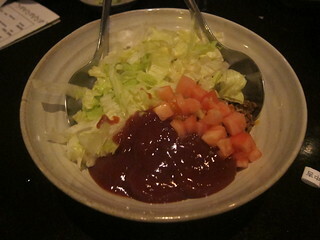 The combination of rice, lettuce, and tomatoes all messed up in a bowl with some sort of barbecue like sauce made the dish tasty. 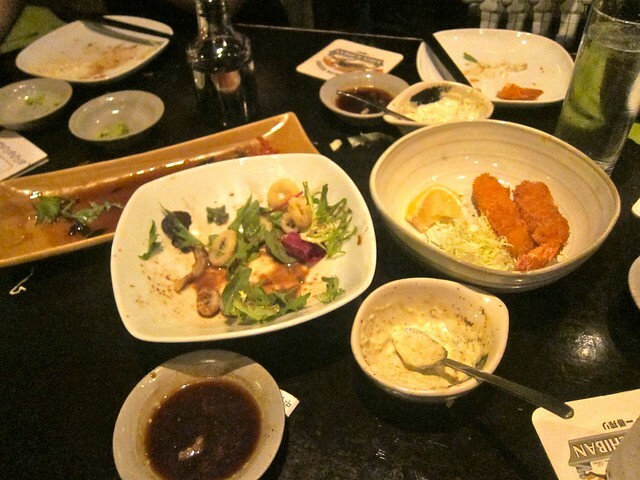 The short ribs and other side dishes including the deep fried prawns were solid too. 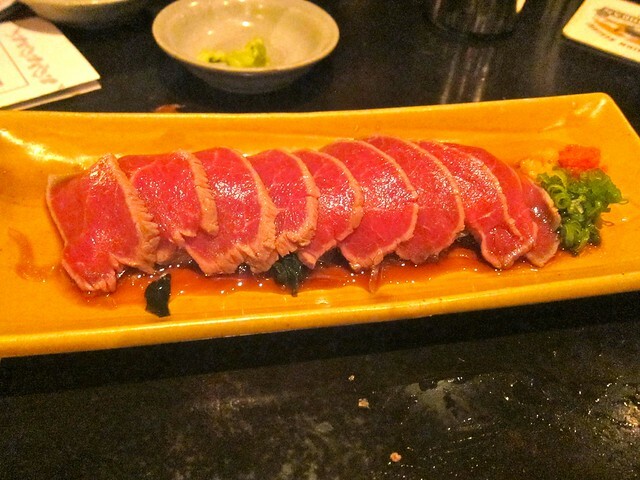 The beef sashimi was another raw dish served well and quite a treat to eat. 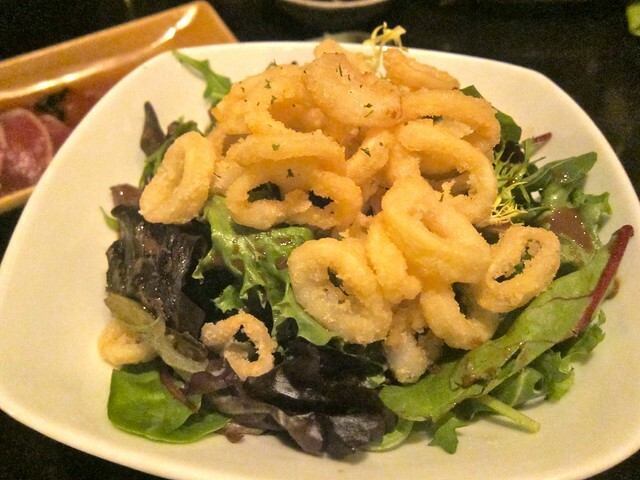 The kalamari salad I thought was just okay. 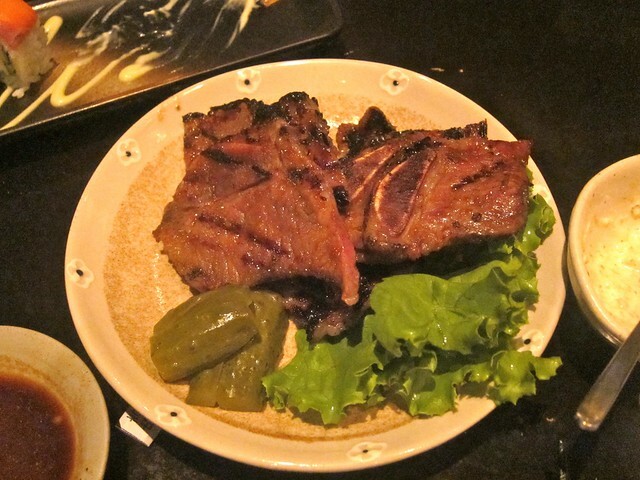 It did not stand out like the other dishes quite as well. I thought this Yaletown sushi eatery provided a great late night dining experience. 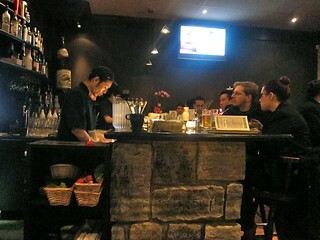 It has an offbeat vibe with its friendly staff and unique atmosphere. Yum! Every dish you described and photographed seems delectable. I've never been to Alpha although I've walked past it occasionally...now that I know what I'm missing, I'll definitely have to check it out. I have many things to say about the lack of care and quality in my order. The picture says it all. Does this look like a 40$ meal to you? You be the judge. BTW - food is absolutely uninspired and tastes both over and undercooked. I have a feeling my picture doesn't show but the portions are not large. Not sure where these beaming reviews are coming from but I am not impressed.